If the previously glistening sheen of a new year has begun to fade and you’re searching for something to refresh all those optimistic, new year, new me feels (or you're just up for another festive night out), then you need to get this event in the diary, STAT. 2018 is officially the Chinese Year of the Pupper (AKA doggo, AKA dog for those of you who don’t speak millennial) and we’re so down for anything that celebrates our fave floofy pet. 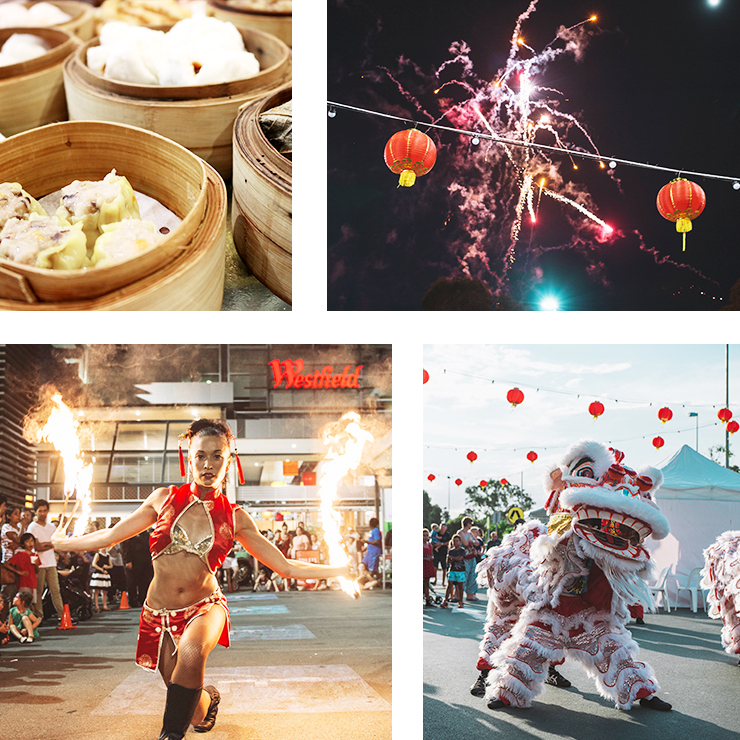 Naturally, the legends at Westfield Chermside are totally on board, and are putting on an the Chinese New Year celebration to end all Chinese New Year celebrations! You can catch live music, roaming lion dance parades, TWO fireworks shows, stilt walkers and fire dancers, for allllll of the Instas. Hosted at their epic new outdoor precinct, expect guaranteed good times for the whole fam. Oh, and did we mention that it’s free? There's that too. Any Chinese New Year outing wouldn’t be complete without an authentic dinner to boot and although Westfield Chermside’s dining precinct is literally bursting with delicious options, our pick is a front-row seat with a Chinese feast at Landmark Yum Cha. We legit cannot think of a better excuse to OD on some of Brisbane's best dumplings. (Hot tip: make sure you book in advance to avoid missing out on the goods!). Editor's note: This article is proudly sponsored by Westfield Chermside and endorsed by The Urban List. Thank you for supporting the sponsors who make The Urban List possible. Click here for more information on our editorial policy.